Bhubaneswar: Xavier Institute of Management is celebrating 30 years of distinguished service in the field of academics and business, and to the society. This celebration aims to bring together alumni from diversified realms of business and to create an insightful blend of ideas, which will make the next leg of the journey even more fulfilling. 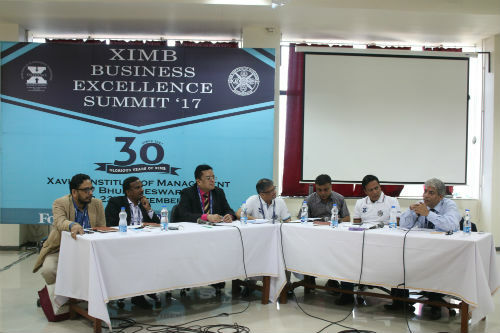 In this pursuit, the institute inaugurated the Business Excellence Summit on the 22nd of September at Xavier Institute of Management, Bhubaneswar, in the presence of twenty six distinguished alumni of the college spanning across the 30 years. This was done to initiate an opportunity to interact, celebrate, discuss, reflect and collaborate. The central theme of the event is, ‘Building the vision for XIMB at 40 in accordance with the VUCA world’. Reminiscing over the glorious history of XIMB, it is evident that this milestone has been possible due to the collaborative efforts of the management, faculty, students and the entire Xavier fraternity. This event will be a great opportunity for the institute to celebrate its past, acknowledge the present, and share the collective vision with renewed enthusiasm. The summit commenced with Father Augustine, the Registrar of XIMB, taking a trip down the memory lane and speaking about how XIMB came into being 30 years ago. Vice Chancellor and Director of Xavier University, Dr. Fr. Paul Fernandes, concluded the inauguration ceremony by delivering an enlightening speech on excellence and universal education. He spoke of “wings of excellence” about which, he quoted, “We need to put on and make sure we are able to have conviction and commitment in the future.” He believed that there is a need to, “think, reflect, inspire, and empower” minds to achieve this excellence. Day 2 of the summit witnessed leadership talks by esteemed alumni and panel discussions participated and moderated by the alumni. Panel discussions delved into topics like VUCA, entrepreneurship, the bond between industry and academia, and leadership. The first series of leadership talks started with Mrs. Mrinalini Khusape (Head of Special Projects (Sales & After Sales,Skoda India) stating that we might believe we are the makers of our fate but it doesn’t happen. Mr A.L. Jagannath (Senior Director, VMWare) spoke about how individuality is important and suggested everyone to have a passion that will keep them alive. Mr Nilanjan Roy (Business Head, Cigna TTK) ensured that how having a mentor is very important. Mr Lalit Desiraju (Senior Director, Capgemini) cited how there is a tremendous change in technology over the past years.Mr Krishna K V (Senior VP, Yes Bank) advised the audience to have clarity over what one likes doing. Mr Vijay Sinha (Senior VP HR, JSW) cited, “People who master the art of telling their story effectively will succeed”. Mr Sanjay Nayak (Strategic Business Head, Infosys) insisted on using persuasive leadership to get people to contribute. The second leadership talk included notable alumni like Mr. P C Joseph (Head – Technology Operations, Wells Fargo), Mr. Simanta Mohanty (VP,HR, Community Empowerment Lab), Mr. Subrat Sarangi (Associate Professor in Marketing, KIIT), Mr. Shreeprakash Hota (Associate Director, HSBC), Mr. SS Mishra(Chief Safety Officer, IRTS) and Mr. Dipankar Das (Business Head & APAC Sales Leader, BridgeI2I). The speakers for the next leadership talks were Mr. Chittaranjan Mohanty (Own Venture, Ex VP, JP Morgan Chase), Mr. Ashok Singha (MD, CTRAN Consulting Ltd.), Mr. Chandra Sekhar Chitrala (Managing Director, Catalyst IT Solutions), Mr. Om Prakash Agarwal (CEO, Plastend), Mr. Susanta Mishra (CEO, Placidivision Pvt Ltd), Mr. Zafrullah Khan (President HR, Emcure Pharma) and Mr. Rakesh Kumar (Advisor, International Solar Alliance). The fourth phase of the leadership talks had illustrious alumni like Ms. Sunita Raut (Chief Inspiration Officer at Own consulting practice), Mr. Ashok Dash (Director-Partner Development (Tier I SystemIntegrators), Microsoft), Mr. Ashish Pati (COO, Care Hospitals), Mr. Sidharth Rath (Group Executive, Axis Bank), Mr. Sanjiv K Ambasta (Senior VP, Piaggio) and Mr. Prithwish Mukherjee (Marketing Head, Vodafone). The leadership talk series ended with concluding reflections and a vision of thefuture. This panel had esteemed speakers like Mr. Krishna K V (SVP, Transactional Banking, Yes Bank), Mr. Simanta Mohanty (VP, HR, Community Empowerment Lab), Mr. Chandra Sekhar Chitrala (Managing Director, Catalyst IT Solutions) and Ms. Sunita Raut (Chief Inspiration Officer at Own consulting practice). Mr. Chandra Sekhar Chitrala (Managing Director, Catalyst IT Solutions), opened the first panel discussion for the day by delivering a heartfelt talk on Entrepreneurship, a topic, he professed, was very close to his heart because he, himself, is an entrepreneur. The speakers felt that entrepreneurship was necessary for our country at this point. They discussed as to how management education could foster entrepreneurship, noting that management education is giving a huge boost to the employment of our country. He quoted, “We are being taught entrepreneurship in our MBA without us knowing about it”. Mr. Om Prakash Agarwal (CEO, Plastend) believes that entrepreneurship can be taught but a calculative risk is needed. Mr. Chittaranjan Mohanty( Executive Director, JP Morgan Chase) quoted, “Everyone has their own journey. If you create values, money comes on its own.” Mr. Susanta Mishra (CEO, Placidivision Pvt Ltd) emphasized that when one talks about innovation, it shouldn’t be confused with invention. Mr. Zafrullah Khan(President HR, Emcure Pharma) believed in inculcating qualities of entrepreneurship irrespective of whether one is starting a startup or not. Mr. Ashok Singha (MD, CTRAN Consulting Ltd.) cited, “Being an entrepreneur, we consistently have to be innovative”. This was followed by a discussion on how management education inculcated leadership capabilities. The moderator, Ms. Sunita Raut, (Chief Inspiration Officer at Own consulting practice), opened the discussion quoting, “The way I look at leadership is: Everybody is a leader.” The alumni discussed how leaders not just deliver significant results but also inspire and impact other people.Mr. Ashish Pati (COO, Care Hospitals) quoted, “Leadership is not a part of education system. It is something we develop over time.”They urged the panelists as well as the students to imagine how the world would be if the percentage of leaders increased ten times. They also noted that inspiration was missing in today’s world, and that there was dire need for it. Eminent guests like Mr. Ashok Dash (Director-Partner Development (Tier I SystemIntegrators), Microsoft), Mr. Sidharth Rath (Group Executive, Axis Bank), Mr. Sanjiv K Ambasta (Senior VP, Piaggio) and Mr. Prithwish Mukherjee (Marketing Head, Vodafone) contributed in the panel by putting forward their constructive thoughts and views. Mr Sidharth Rath (Group Executive, Axis Bank) marveled at how impactful the change in the next thirty years will be, stating that, ‘India is at the cusp of a big change, the seeds of which are already sown.’ Mr Krishna K V (SVP, Transactional Banking, Yes Bank) opened the discussion on VUCA and the challenges posed by it. The panel discussed strategies which XIMB needs to adopt to surmount these challenges and be an enabler in the VUCA world. 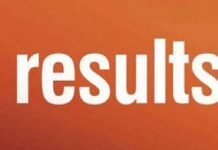 The panel believed that though there was nothing new to VUCA, its importance is profound today because of the rate of change that is happening in the business world. To sail through a VUCA world, agility, nimbleness, and discipline are of paramount importance, they concluded.The panelists included illustrious personalities like Mrs. Mrinalini Khusape(Head of Special Projects (Sales & After Sales,Skoda India)), Mr. A.L. Jagganath (Senior Director, Dell-EMC (VMWare)), Mr. Nilanjan Roy (Business Head, Cigna TTK),Mr. Lalit Desiraju (Senior Director, Capgemini), Mr. Vijay Sinha (Senior VP HR, JSW) and Mr. Sanjay Nayak (Strategic Business Head, Infosys). Mr. Simanta Mohanty (VP, HR, Community Empowerment Lab) spoke on the Industry-Academy interface and how the industry’s linkage with XIMB would create excellent opportunities. The panel discussed on the channels and partnership structures which would bridge the gap between the institutes and the companies. They even noted that the linkage between XIMB and the industry would result in a lot of business. Light was thrown upon how strong and long lasting relationships between them would be instrumental in achieving greater success. Esteemed guests like Mr. Krishna K V (SVP Transactional Banking, Yes Bank), Mr. Simanta Mohanty (VP, HR, Community Empowerment Lab), Mr. Chandra Sekhar Chitrala (Managing Director, Catalyst IT Solutions) and Ms. Sunita Raut (Chief Inspiration Officer at Own consulting practice) were a part of this exciting panel.